Montevertine...simply remarkable Tuscan elegance. 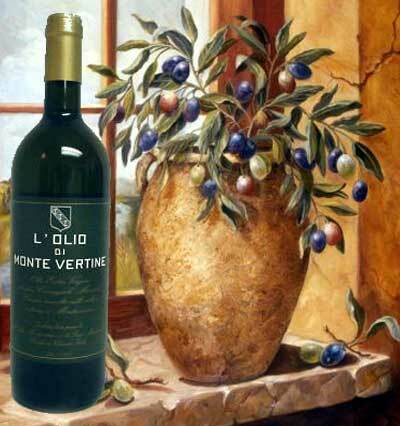 Montevertine extra virgin olive oil is consistently ranked in the top oils from Tuscany, Italy. Montevertine olive oil boasts a rich, subtle complex flavor...Montevertine, intense in flavor, is both creamy & fruity, nutty & bittersweet, with a distinct peppery Tuscan olive finish. The olives are harvested from trees surrounding this world-renowned vineyard in Radda in Chianti. Montevertine olive oil is pressed from three types of olives: Correggiolo, Moraiolo & Leccino. Montevertine Extra Virgin Olive Oil (Tuscany).